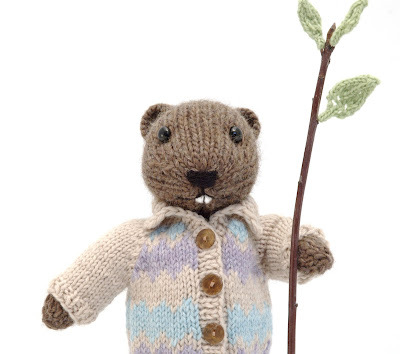 Please meet the newest Fuzzy Mitten animal: a Beaver, with a beautiful colour-work sweater coat. The toy is based on my regular-size toy design, and is about 8" tall when finished. He has big feet, a nice pointy nose, little round ears, and a textured tail. 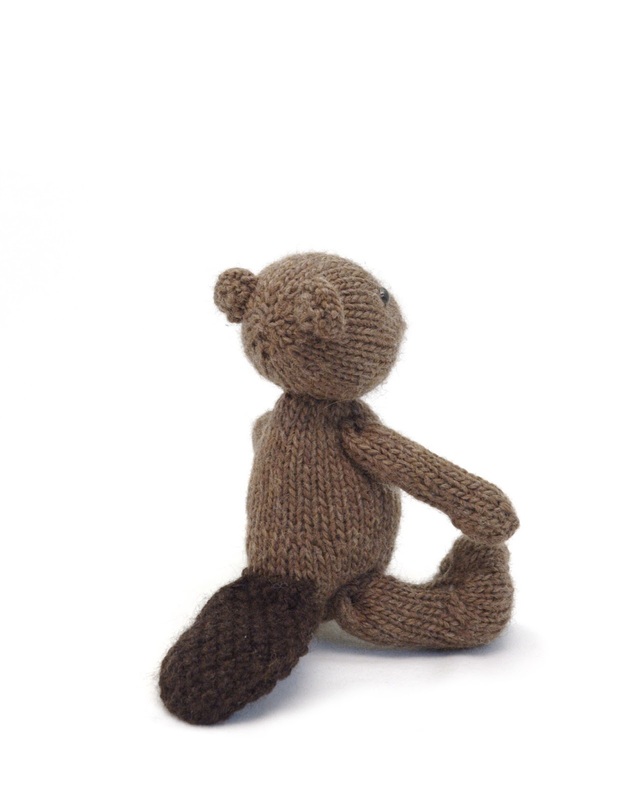 The toy itself is fairly easy, knit flat, and then assembled. The sweater coat is probably the most complicated garment I've ever designed. I've wanted to make something like it for ages, and I thought it would suit a Canadian Beaver. The pieces are all knit flat, then seamed together, and finally you pick up and knit the button-bands and collar. There are large, clear charts for the colour-work design, or you could knit the cardigan in a single yarn. There is a lot of finishing for such a small thing, but you can learn some very useful skills, without spending weeks or months knitting all the pieces! I designed a few other colour-work patterns for the sweater coat, and I hope to publish them as a free add-on to the pattern (sometime in the next month). Everyone who participated in the Mystery Knit-Along over on Ravelry seemed to have a fun time. There were some people who have been knitting my designs for years, and some people new to my toys. 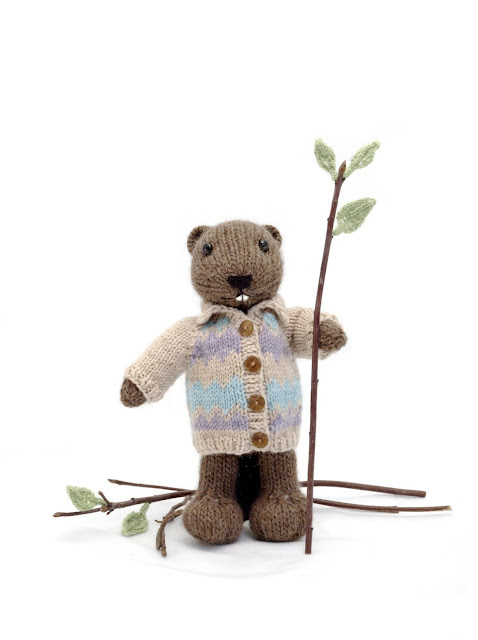 There are many lovely finished beavers now, so you can see just how the pattern will turn out. The KAL was so successful, I will definitely do one again. Plus, there were so many great guesses about what the toy was going to be, I have plenty of ideas for new designs! Posted by Barbara Prime at 12:20 p.m.
November 25, 2015 at 11:50 p.m.